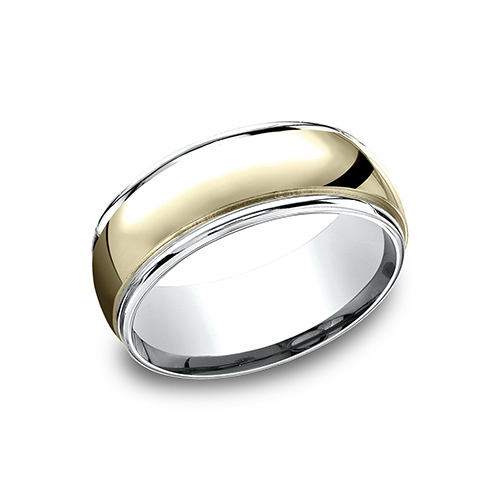 Polished 14kt yellow and white gold wedding band has ridged edges. Die struck and comfort fit. Width: 8mm. Made in USA.